The year 2010 will remain memorable for both Tyler Hubbard and Brian Kelley, founders of the musical duo Florida Georgia Line for being the year they launched the band which has become a symbol of success and novelty. Prior to the formation of Florida George Line, the two singers who met through an association back in their days at Belmont University were unknown and only participated in worship ministries where they sang mostly gospel songs. The musical duo who are popularly known for singing mostly country music and country pop already have three albums which are popular among country music lovers in the U.S and beyond. Their first single, Cruise was hugely downloaded by millions of internet users; it became a best-selling single at the time and also won the Diamond Certificate. They have equally applied their style of country music which they called ‘bro-country to all their songs after the release and success of their first single ‘Cruise’. Who are The Florida Georgia Line Musical Duo? The Florida Georgia is a musical duo formed in 2010 by two singers Tyler Hubbard and Brian Kelley. The duo met in 2008 through an association they both belonged to at Belmont University. Two years after their meeting, they formed Florida George Line and released their first EP titled “Anything Like Me” in that same year. The next year, the band signed to the Big Loud Mountain record label and released their second EP titled It’s Just What We Do. It consisted of the best-seller Cruise, Get Your Shine On, Tip It Back, and Tell Me How You Like It. Two other albums were released in later years; Anything Goes in 2014 and Dig Your Roots in 2016. In early 2019, they announced a fourth album Can’t Say I Ain’t Country which was released on 15 February 2019; just a day after Valentine’s Day. Tyler Reed Hubbard is a native of Monroe Georgia and was born on January 31, 1987. He is the oldest of his parents’ three children. His dad Roy Hubbard died in a helicopter accident in 2007. His high school education happened at Loganville Christian Academy where he graduated from in 2005 before. After high school, he headed to Belmont University for his college education. Although he played the dirt bike race with his peers while growing up and was always seen in busy with church activities; music has always been a fantasy right from his early days as a boy. Brian Kelly who is the second member of the Florida Georgia Line Musical duo was born on August 26, 1985, in Ormond Beach, Florida, to Ed and Mary Margaret Kelley. He was very active in sports as a young lad. He played outstandingly in Baseball as a pitcher both in high school and in college. His love for music started during his early childhood so that when he was not playing baseball, he spent his free time playing guitar and writing songs. After graduating from Seabreeze High School as a pro baseball player, he won a scholarship to study at the Florida State University and later transferred to Belmont University when he discovered that he had little chances of attaining greater heights in Baseball. Choosing to leave Florida Georgia University was one of the wisest decision the young Kelly ever made. As a student of Belmont University, he found his partner Tyler Hubbard who would later join him in the pursuit of worldwide fame and renowned success in the music industry. Success for Florida Georgia Line sprouted the very moment Tyler and Kelly met at the Belmont University in 2008. The music duo has released a countless number of songs contained in 4 different albums over the course of 9 years. They started in 2010 when they released ‘Anything Like Me’, an EP which consisted of six songs and was produced by Wesley Walker. The songs you will find in the EP included You’re Country, Now That She’s Gone, Man I Am Today, Never Let Her Go, Black Tears, and Blackwood’s Beauty Queen. In May 2012, they released another EP titled ‘It’z Just What We Do’. Later that same year, they dropped their first studio album titled ‘Here’s to the Good Times’. After the album’s release, the duo went back to work on the album and afterward added a new song to it. A novel version of the album was then produced. They titled it ‘Here’s to the Good Times…This is How We Roll’. It was released on November 25, 2013. Unrelentingly, the musical duo made a frantic effort in the year 2014 and released a second studio album on August 15 titled ‘Anything Goes’. The album consisted of songs like Dirt which was released on July 8, 2014, and made it to the Billboard Hot Country Songs Chart and was among the Top five songs on the list. Two other songs, Confession and Sun Daze were later added to the album after it was released. In 2016, Florida Georgia Line released its third studio album. This time around they featured notable artists like Tim McGraw, the Backstreet Boys, etc. and equally began touring the United States side by side with three other artists playing songs from their third album titled ‘Dig Your Roots’. Later that year, the duo collaborated with singer Bebe Rexha to release Meant to Be for her own album. In 2017, they sang along with a few other artists for a football broadcast. The duo went ahead to sing Simple for a country radio which was then released on July 1, 2018. Their latest album Can’t Say I Ain’t Country dropped on February 15, 2019. The Florida Georgia Line musical duo have done very well over the years and deserve all the accolades credited to them. Going through a complete list of all the recognition they have received would be a rollercoaster ride, but it is noteworthy that they have won a handful of awards including the New Artist of the Year and New Vocal Duo or Group of the Year from Academy of Country Music Awards in 2013. They were also awarded Top Country Song, Duo Video of the Year and Breakthrough Video of the Year from Billboard Music Award and CMT Music Awards also in 2013. In 2014, the duo’s remix of Cruise was awarded Single of the Year by American Music Awards. Other songs by this group have also done well and have won many awards too. Their song Meant to Be, which they did in collaboration with Bebe Rexha was nominated for Best Country Duo/Group Performance at the Grammy Awards of 2019. A host of other bodies and organizations have also recognized the duo and given them countless other awards. Although their journey to fame has not really been very a rosy ride, it doesn’t, however, mean that the Florida Georgia Line musical duo hasn’t had a rewarding career especially as regards how much they earn and are worth. As at the last estimation of the extent of their wealth, Forbes revealed that each member of the group had an annual income of about $36.5 million and as at 2019, the duo has a combined net worth of $50 million. They may be a duo, but the two men who make up the Florida Georgia Line definitely lead very different personal lives. Tyler is currently married to Hayley Stomme whom he began dating back in 2013. In September 2014, they got engaged and were married by first of July the following year. Together they have a daughter Olivia Rose Hubbard who they welcomed on December 23, 2017. Kelly, on the other hand, has been married to the love of his life Brittney-Marie Cole since December 16, 2013. They dated for seven months before finally tying the knot. Despite their busy and sometimes very tight schedule, the Florida Georgia Line still make time to give back to the society and have chosen a very unique way to do so which is feeding the hungry. In 2014, the band became brand ambassadors for the General Mills “Outnumber Hunger” campaign, which raised $1.2M for a U.S based NGO Feeding America. Florida Georgia Line became the first and only country artist to receive the Digital Diamond Award for its song ‘Cruise’. 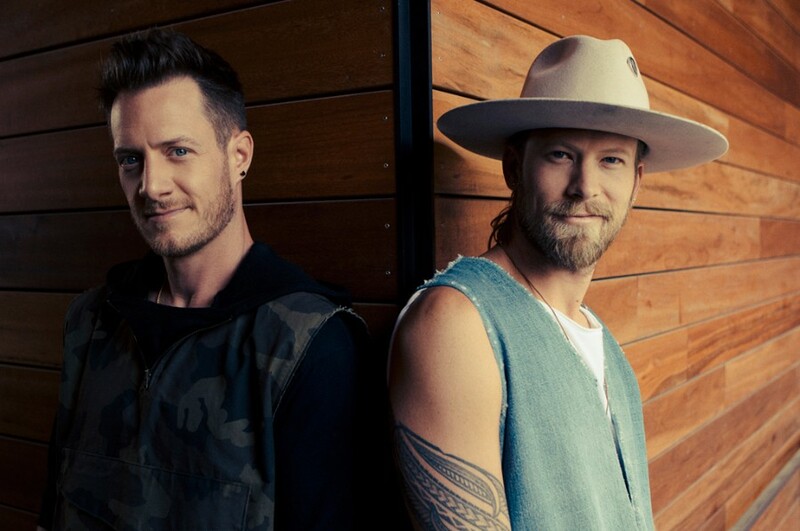 FGL, as they are known for short, wasn’t the name the duo initially thought of. They first called themselves Oranges and Peaches but changed it later to Florida and Georgia to represent their native towns. Their first album, “Anything Like Me” was independently produced, recorded and distributed by the duo. They invented a new style of country music called “Bro-country”. Tyler Hubbard has a ritual of drinking hot tea before any show but when asked why he did that, he does not have a definite explanation. Kelly’s dad was a mayor in Ormond Beach and supports his son’s choice of career. Before pursuing a career in music Tyler sang in the church and was a Youth Leader in his church back in the day.